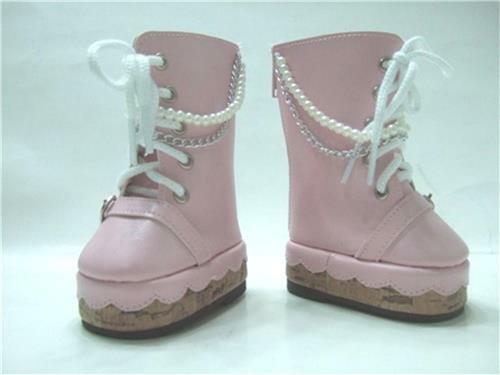 Trendy pair of pink boots with faux pearls and chain trimmings. The sole features a scalloped edge. This is a sure hit!